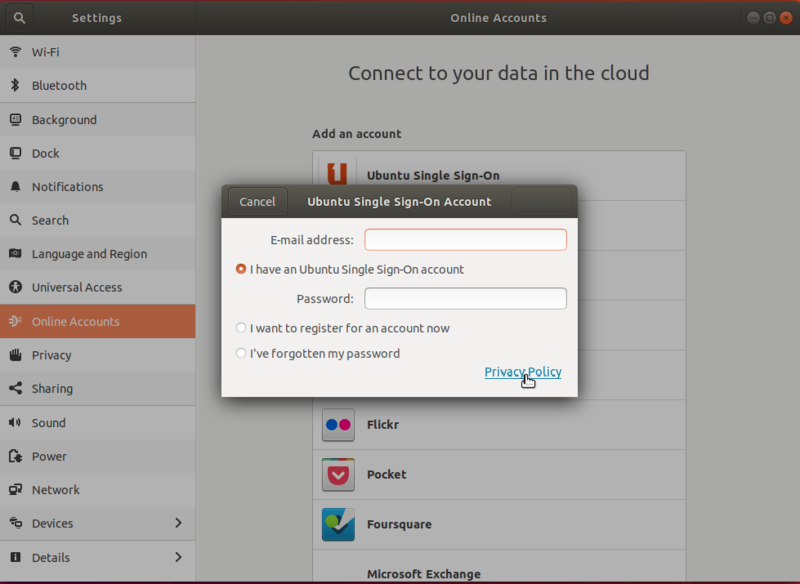 * Select "Ubuntu Single Sign-On" under "Add an account"
Please find attached the proposed debdiff. Accepted gnome-online-accounts into bionic-proposed. The package will build now and be available at https://launchpad.net/ubuntu/+source/gnome-online-accounts/3.28.0-0ubuntu2.1 in a few hours, and then in the -proposed repository. I can confirm this is working as intended. Which version of the package has been used for verification? Same with the rest of the packages built from the source.